What is an Easy Template? What is an INFO sheet? I have downloaded a template... now what do I do? Can I scale 50%, 25% or change resolutions? What is Material Over Size and why do I need it? What does 'banner print ready' mean? Do I supply trim bleed? Where do I find the Set Up Specifications? The number #1 things people need to get right! What is the biggest banner? Do I need Photoshop? What software can I use? Do you have a dropbox? Can I send you files? I'm not a graphic designer... what do I do? I have some elements... can you put it together for me? What should I tell MY designer? How do I digitally approve? I'm not a reseller... can I order? Can I pickup / arrange my own delivery? How do I release payment? What happens if my order fails quality inspection? How do I 'watch my order'? How do I self manage shipping? What is some shipping required? What happens if I have a shipping problem? What if I'm not there when the courier arrives? Do you put up/install the banners? How do I become a wholesaler / reseller? Can I login for more discounts? How long are prices valid for? Do you show the SBO logo... I'm a reseller? Can you give me an pro-forma invoice? What is my tax position? FAQ's - In a few minutes you will be able to customize any printed banner, sign or display suited to your clients demands. Navigate through a few pages and learn how you can create customized printed banners and display signage products for your business customers. It's Easy! The Easy Template Maker. Why we use & recommend it! It gives you correct manufacturing sizes for making and printing a banner sign. IMPORTANT The Easy Template Maker gives you best specifications. Open in a graphics program, Overlay your creative. An Easy Template is a downloadable PDF file that you can use to MANUFACTURE large banner signs. It shows you the fold over bleed needed, finished size and safety graphic area. Then, you can send your order to a printing company for manufacturing. Use it for: Understanding the file needed for banner sign printing. Use it for: Overlaying your creative and uploading to a banner sign printing company. Use it for: Pole Pocket positioning, hemming and 'fold over bleed' requirements suited to your custom order. Tip: Use it WITH the INFO SHEET for you or another designer to complete. Also see: What is banner print ready artwork? Also see: Is my file suitable? What is Material Over Size (MOS) and why do I need it? Material Over Size is the 'larger uncut manufacturing size' needed to fold the hem sizes. The edges are folded over and hemmed. 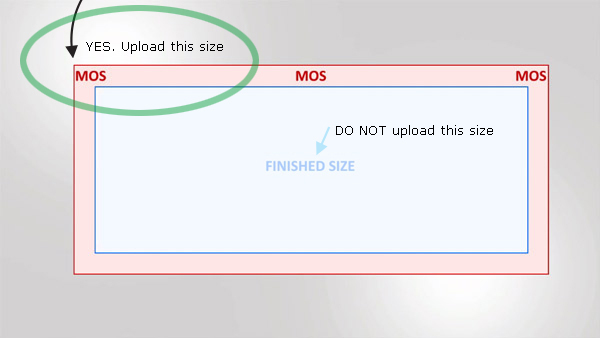 If you do not have MOS your design layout is too small to manufacture. The edges will be short and your graphics may not print correctly. All product (excluding knife edge only) MUST have extra dimension for manufacturing a hem. The hem is folded over. You can have graphic printed edges but remember, these will be folded over. Without fold over bleed, we can not hem your order. Without fold over bleed, your print may be disproportional. Without fold over bleed, your finished order size will be wrong. How do I get the correct fold over bleed size? Uploading: Your file appears to be incorrect MOS...please reset your file. See: What is this and what do I do?. HNL 50mm FFE: 48mm Flag Top Pocket. See ETM NOTES: These sizes may change dependant on material choice. We recommend you use the Easy Template Maker. 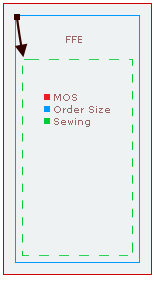 We use and recommend the Easy Template Maker to show approximate sewing positions. What is the face edge? What is 'from face edge'? The front printing side is the face of your banner. The underside hem is called underside hem. FROM the finished order size edge INWARDS to the middle of the banner is called FROM FACE EDGE (FFE). SAFETY GRAPHICS AREA: We recommend you keep all graphics 1" 25mm AWAY from sewing positions. Q. What colors can I choose? Sewing Colors. Yes We supply all industries in over 150 countries with two (2) deliveries in United States everyday. If you are a first time user, we suggest you watch a few How To videos, use the Easy Template Maker and visit the Learning Center. Ok, I have banner print ready artwork: Visit the Order & Upload Calculator to begin your order. You can Pay via the PayPal website using a Credit Card or Login. Once you DIGITALLY Approve your uploaded banners, you will be directed to the PayPal to website complete the transaction. Your funds will be held in a third party bank account. After shipping or after a timeline of 10 days, payment will be released to the factory. 10 Day Buyer Protection = Included Free. Approve your artwork matched to your line items. Just like a traditional proof, we want you spell check, look closely at your designs and check twice that you have uploaded the correct items. Then, Enter the Security Code. This becomes your 'online signature' and proceed approval. Printing begins immediately. Pressing the Add Item to Quote button creates a Line Item. Tip: If you want quantities of the same item, change the QUANTITY field. It's cheaper. Remember, If you have the same size banner with two different designs, click Add Item to Quote again so that when its time to upload Signs Banners Online knows you have two Line Items of same size but different artworks you can upload for each Line Item. How to Order STEP by STEP with video tutorial help. The Order & Upload Calculator is interactive, and you can adjust your options suited to your order. Discounts are applied too. SBO is an automated system and LINE ITEMS = ARTWORK so that SBO knows 'how many' of 'which design to manufacture'. via your Inbox or via your 'MyPage' click on the Release Payment to Factory button. This will release your payment held in a third party bank account. Automatically: Your payment will be released to the factory automatically 10 days after being sent. Upload ONE (1) BANNER PRINT READY FILE Per Line Item = Flattened layer .pdf @ 72dpi FULL SIZE+MOS (fold over bleed), CMYK max 150mb. Download specifications & custom template. Overlay your creative, flatten, save as pdf and upload. 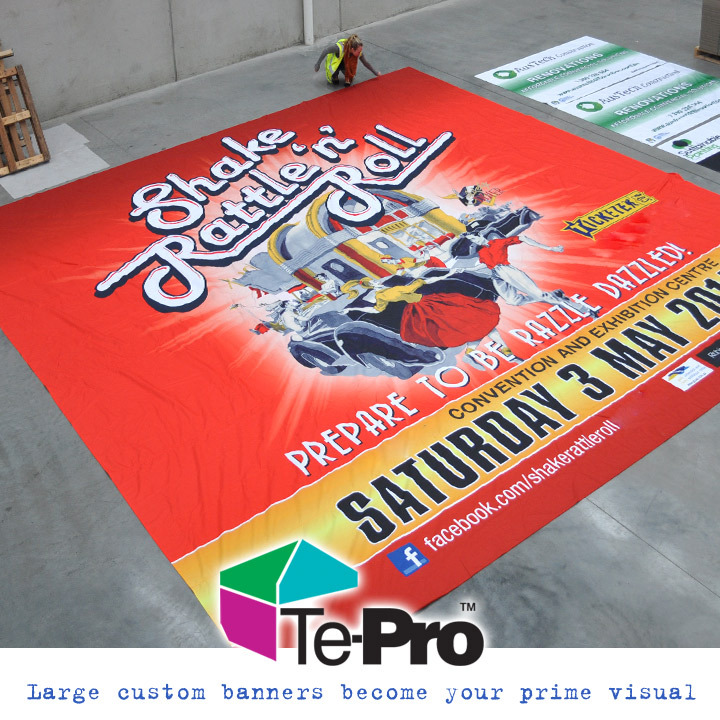 Follow the guides we offer and make a banner print ready file suitable for production. You will need a professional graphics design program such as Photoshop, Illustrator, Corel etc. Attach and send your instructions to our design department. We do it all for you. Talk independantly with a local firm near you. Use the Easy Template Maker and COMPARE if your artwork files match the custom specifications the template maker provides. You can input any size and the Easy Template Maker will show you the correct details you will need to successfully upload a banner print ready order. Use a single.pdf per line item = 1 flattened .pdf @ 72dpi FULL SIZE with +MOS(fold over bleed), CMYK max 150mb. Please note, we only accept single page PDFs, so you'll need to export each page from InDesign and upload them as separate files. Do I supply traditional trim bleed? NO No, 'Bleed' is a traditional paper printing term that is 'trimmed away'. We use a term called 'FOLD OVER BLEED'. Please learn more, this is important. Products made by SBO require additional size to fold over and become a hem. You must set a larger dimension suitable for your Material Over Size. Do not set up any files with traditional bleed, marks, trim identifiers or color bars anywhere. MAKING A BANNER is NOT the SAME as paper. Important! We employ Direct to Fabric Digital Printing (Duracoestatic) wherein... pixel perfect edges are created that DO NOT REQUIRE TRIM Markings, DO NOT REQUIRE Color bars or any other marks. The Material Over Size dimension is the outer edge that is then folded inwards to become a hem. Please read about it. "Banners are not cut like business cards... because the edges are folded over and sewn." Signs and Banners Online allows you to independently order, upload and manage your projects. However, for some clients they would rather engage a professional designer nearby to design and manage the job for them. Also see: What should I tell my designer? YES. Please use our 'Let Us Design' page to attach and send any elements you have and instructions for them. The graphics department will do it all for you. Charges may be applied. An Info Sheet is the ARTWORK SPECIFICATIONS of your custom order that you can (save)-(print)-(give-to-a-designer). The Info Sheet has all the details needed for you to successfully follow and create a design file that will correctly upload and pass automatic inspections. It is a list of specifications required to produce a banner print ready file using a graphic-design software package. See a list of Indoor Materials Here. See a list of Outdoor Materials Here. Using a graphics program such as Photoshop, Open your Easy Template. This becomes the Bottom-Base-Layer of your design. Overlay your graphics-logos, imagery, visuals etc. Then, Work through your design until you are happy with your visuals. Then, Turn OFF Template so that you only see your design. Flatten, Save as .pdf high quality print settings CMYK. Yes. At the new Signs Banners Online website here, you can order Custom Sizes. Use the Order & Upload Calculator, input the size and choices of your order, Add Item to Quote and Start Order. You can use Feet, Inches, Millimetres, Centimetres or Metres. SBO specialist Custom Size Calculator and Easy Template Maker give you many options to purchase what you need. Can I use Inches or Millimetres? Yes. At the Easy Template Maker and the Order & Upload calculator you can swap between your preferred units. When you swap to your preferred units, the weight unit also changes. Eg: lbs to kgs. Any changes are stored as your order progresses. I have download a template... Now what do I do? Is the shipping price included? or SOME SHIPPING PAYMENT REQUIRED If an order exceeds the promoted Free Shipping value, a client may be required to pay a balance or full value. This 'Some Shipping Required' value is aside the free component. This means, the 'free' value has been deducted leaving a balance of 'some shipping'. If your orders are under USD$160.00 value, some partial shipping may be required. This is shown at Calculator. If your orders are over USD$750.00 value, some partial shipping may be required. Your order indicates heavier than standard packaging or shipping excess allowance(s) and may require more or larger cartons, pallets, crates or loaders or or higher payment to shipping company or other costs to effectively ship to you. This is shown as a value figure at Calculator. Any FSA is deducted showing you any balance due. NOTE: Free shipping is NOT express shipping. Shipping companies general ETA is 3-7 days depending on your location and suitability to a destination hub. Please refer to the shipping company website for more general and localized information. We understand that your order may be deadline driven and we appreciate this element of our industry, however, shipping times are not guaranteed nor promised. Please allow sufficient time to ship out to your destination. Inadequate scheduling or delays are not reason for dispute. Once you have made payment, we will begin production. Depending how many quantities you are ordering, normally production takes 2-4 days and shipping takes around 3-7 days. Please note this could vary as we use a third party courier for all shipping and actual times are not promised. We understand that your order may be deadline driven and we appreciate this element of our industry, however, shipping times are not guaranteed nor promised. Please allow sufficient time to ship out to your destination. Inadequate scheduling or delays are not reason for dispute. IMPORTANT If you are unable to resolve shipping yourself by referring your unique tracking numbers with the shipping company, communicating with them and trying to resolve the problem yourself... contact the factory support team. Often... drivers will leave an 'attempted delivery' card advising they tried to delivery to you. OR they will update their website status. Please contact the courier service via the details they provide. Special Circumstances: We do not provide 'Authority to Leave' documents. IF you wish special circumstances or special movements of delivery, communicate directly with the shipping company. They may charge you additional fees. Please note The factory support team ARE NOT able to assist with altering labels, redirection or special adjustments. Use your 'MyPage' to communicate directly with the shipping/courier company for any special requests. Also see: Can I specify a time for delivery? How do I manage self shipping? You will receive updates throughout the production stages and access to your special 'MyPage' where you check the status of your order and follow when ship out begins including the shipping company details and tracking numbers. Use the shipping company ONLINE WEBSITE TRACKING FEATURES, Consignment numbers and updates. They will be able to give you delivery status updates. Contact the shipper directly If you have any concerns regarding the delivery of your goods, you are best to contact the shipping company via their website or customer service phone numbers as they will have the best up-to-date information. Use your 'MyPage' to communicate directly with the shipping/courier company for any requests. Also see: Can I pick up / arrange my own shipping? If your orders are under $USD$160.00 value, some partial shipping may be required. This is shown at Calculator. If your orders are over $USD$750.00 value, some partial shipping may be required. Your order indicates heavier than standard packaging or shipping excess allowance(s) and may require more or larger cartons, pallets, crates or loaders or or higher payment to shipping company or other costs to effectively ship to you. This is shown as a value figure at Calculator. Any FSA is deducted showing you any balance due. IMPORTANT • Banner Print Ready means your file is perfectly matched to your line item and will upload correctly and pass automatic inspections for INSTANT printing. Using automatic artboard servers, print servers and automated systems, when you upload a banner print ready file it instantly passes into the printing queue and begins production. This occurs with minimum human involment. Automatic Job Ticketing Roll loaded, Printing begins. All departments begin. 'MyPage' access, Receipt+Documents, Status Notifications, Tracking. Shipping details assigned. 10 Day Buyer Protection. 54 Quality Inspections Watch your order as it moves around the factory and to your door. • A banner print ready file will insert directly into the printing queue and upon next automatic material load, it will be begin production without human involvement. • A banner print ready file is- [Finished order size +MOS(fold over bleed size)]. • A banner print ready file is optimized. This means 1:1 scale @ 72dpi CMYK Single Layer(Background) saved as .PDF high quality settings. 3. Use an Easy Template to overlay your creatives and visuals. • Your designer needs to create artwork suitable for banner sign printing. To send your designer the specifications, click on the Easy Template Maker, enter your custom choices > Add Item to Quote > Save and Print your Specifications Sheet (INFO SHEET) and email that Info Sheet to your designer. Encourage your designer to visit www.signsbannersonline.com Videos and Learning Center. Do you have a dropbox? 2 Attach files, logos or creative elements. 3 Enter instructions for each element, tell the graphic designers what you want. 4 Send... The Design Department will reply soon. Attach & Send: (Let Us Design) Files are communicated to the Design Department. Printing does NOT begin. Order & Upload: Printing begins. No. SBO uses ground shipping during normal business hours as per shipping company policies. You will need to be in attendance during the shipping company scheduled delivery time. We advise you monitor closely the tracking stages of your order and self manage your shipping. When you order, at some stage you will have access to your 'MyPage' shipping company name, consignment details and website. Please use the shipping company website for all communications. We understand that your order may be deadline driven and we appreciate this element of our industry, however, shipping times are not guaranteed nor promised. Please allow sufficient time to ship out to your destination. Sample Books. Can I have a sample? Yes. Please fill in this form correctly and the factory support team will ship out a free sample book. Benefits: Refer to the material you want in your hand. Free 2019 Sample Book with popular fabrics used for signage banners, displays and exhibitions. Technical Data, Material information and product class information here. • Materials • Options- Finishes, Fastners, Colors, Inks. Your product is a polymer. Do not tear or rip. Residue dye's used in the manufacturing process may be apparent. Do not wash in hot water. Do not stain. All materials we manufacture are designed to accept ink, this means effects such as paint, spray can or stain will adhere and penetrate the material surface. Use Indoor Outdoor or both: Particular products are better suited to indoor or outdoor use. Do not use indoor grade products for outdoor use. Material selections offered by SBO are guides only, you should test suitability for your application first. Some options are NOT available for indoor products vs ARE available for outdoor. Options > See Calculator. Attaching/Tying: Do not stretch or tie too tight. Your product will shrink/expand to a taut form. Allow minimum 10% shrinkage. Do not bear pressure on grommet eyelets. • WASHING > Wash in Cold Water ONLY. IF dyes are visible, do not dry, repeat washing again. • CLEANING > Wipe with dry cloth ONLY. Do not use bleaches, disinfectants, soaps or powders. Do not use strong abrasives. To remove wrinkles use ironing technique, use soft pressure in a circular motion. • Polyester based products. Cold or Warm Iron only. Do not apply excessive heat or pressure. • TePro > DO NOT iron. Te-Pro has a water repellent coating that may be damaged if ironed. How do I store a banner sign? • Roll the banner onto a tube with the ink side facing inwards. Graphitti All products are designed to accept ink, thus they also accept graphitti such as paint. It may not be removed successfully. How strong is the canvas? Heavy Duty FINE 600 denier with aqua-phobic coating (Water Repellant). 15kg Burst Strength. Is outdoor canvas printing high resolution? YES, Te-Pro Canvas Banners offer a high printing quality versus vinyl pvc banners. The aqua-phobic coating also includes a print accelerator for stronger printing outcomes succceeding 1440dpi at the print head. Is there a size limit? Small to medium size applications. TePro uses short 1.5m 5ft master rolls. Large sizes may require joins. Double seam joins allow for larger banners. What is TePro? Te-Pro is a heavy duty canvas outdoor grade with a surface aqua phobic coating making it water resistant. Canvas twill weave pattern. Use for Shop & Retail - Outdoor general signage, Advertising banners, Indoor POP and Wall Poster, Outside banner signs and promotions, general purpose. 10 Day Buyer Protection: Payments are held in a neutral bank account for up-to ten days. You can order now, receive your goods and finalize payment release to the factory later. 1 via your Inbox or 'MyPage'. 3 Thank you, payment has been released. Funds have been transferred to the factory. Why a file may fail uploading? #1 Reason. File is incorrectly set. All files for manufacturing must be banner print ready and include MOS Fold Over Bleed. #2 Reason. File is only a logo. For printing of signage, you must set the background size, color mode, flatten, MOS etc. If you are unsure how to do this please employ a professional designer near you or use our 'Let Us Design' page to Attach and send your logo or photo to us. We will do it for you. #3 Reason. File will never be suitable. Office documents, small internet gif image or other 'non-print-suitable' files are not accepted. Suitable File Types = .pdf, .psd, .tiff > Read more. 10 Quick Tips = Is my file suitable for manufacturing?. Your order passes 54 different inspections before being dispatched. If your order fails during factory processing, it will be restarted. This may or may not require additional time added to the original ETD. Order restart may occur at step 1 or anytime until step 54 is completed. ETD = Estimated Time to Dispatch. Pre-Order, at the Order & Upload Calculator, you can see an ETD guide for production to dispatch. 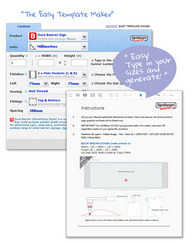 At The Easy Template Maker, customize your options, click generate and a secondary PDF button will appear. USE this secondary button to download an ARTWORK SPECIFICATIONS SHEET that you can give to another designer, use now or keep for later use. No login is required. The Easy Template Maker is free, you can use it too! Setup Charges? - your choice. Free or paid options. Do you put up the banners? No. This is a printing and sewing service only. No on-site work is provided. There are many servers here so making and storing a unique website for you is easy. There are no fees ever, and you can accept any type of design work and suggest keywords suited to your skill set. Then, the web team will host a geo-targeted website for your region WITH YOUR CONTACT DETAILS. Customers do not know of SBO and there are no SBO branding logos or references anywhere. It's a way of helping you achieve more business, and hopefully some of those are banners. Your contact details Clients see trade images SBO dont advertise. Resellers. Can I login for more discounts? No. SBO do not advertise to achieve retail sales. The wholesale prices shown at calculator are as of time of order. Recommended Retail Price. We do not assist resellers or wholesalers to determine their price / rates schedule. If you add profit to products=Hooray! You're in business too. Resellers. Will SBO ever contact my customers? No. Never. Not going to happen. SBO is borne from a wholesale company with over 20 years history supplying resellers. WE NEVER contact your customer. Modern business and the internet: We do not have influence on how a search engine lists our site and if we appear on the web it is generally to wholesalers being the prime keyword. Records, Addresses and Contact Info: Order details are not kept. We use PayPal payment gateway. Records expire. Artwork is removed. All order prices are at time of order and promotions, discounts or special offers may expire. Prices are linked to material purchase prices which may fluctuate. Prices change regularly. How to create an estimate. 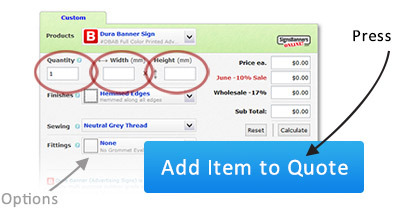 Go to the Order & Upload Calculator, input the sizes and choices of your banner. Can I pick up / arrange my own delivery? No. SBO do not allow direct pick up, arrange for pick up or other. When purchasing products you are purchasing from a wholesale internet based business model with automatic features. Certain business elements have been removed including 'pick up facility'. Where is my order coming from? International or Local? SBO is a market place that automatically allocates the fastest OR cheapest OR best factory for your product/options and ship directly from a factory to you. It may not be the nearest. Locations include: USA, Europe, Asia. SBO ship out to over 150 Countries with two (2) deliveries throughout United States everyday. This also gives you an advantage your customers do not access the factory locally. Where is my order coming from? International or Local? SBO is a market place that automatically allocates orders to a printing queue by selecting the FASTEST or CHEAPEST or BEST factory for your product options. It may not be the nearest. Locations include: USA, Europe, Asia, Asia-Pacific. SBO ship out to over 150 Countries with two (2) dispatch options throughout United States everyday. This also gives you an advantage as your customers do not access the factory locally. SBO is a direct discount factory link created by designers... for designers and wholesalers and you can talk to the Factory Support Team anytime! Also see: How long does it take to deliver? Our preferred shipping companies general ETA is 3-7 days depending on your location and suitability to a destination hub. Please refer to their website for more general and localized information. NOTE: SignsBannersOnline are not carriers. All delivery is contract delivery via Consignment which you have undertaken when your order and by their relevant guidelines and policies. Free Shipping: Please read how Free Shipping Applies may affect your region. Can you dropship? Can you supply unbranded or my branded product direct to my customer? No. Order less than 11,000 sq ft (1000m2) per month. Note: The address you input becomes the shipping label. Also see Identifying Marks. Yes. Orders above 11,000 sq ft (1000m2) per month. Bulk/Corporate customers can establish special features over time as our relationship grows. SBO is borne from experience supplying over 20 years of wholesale products to the trade and corporate markets. Other sensitive questions via LIVE CHAT. What is drop shipping? Drop shipping is a supply chain management technique in which the retailer does not keep goods in stock but instead transfers customer orders and shipment details to either the manufacturer or a wholesaler, who then ships the goods directly to the customer. Why are sq ft vs m2 mentioned? Materials are still purchased in sq ft terms. Can you give me a pro forma invoice? No. SBO offer you an estimate that you can print/save as .pdf and forward to your manager. All order prices are at time of order and promotions, discounts or special offers may expire. How to access your Printable Receipt via your inbox > See attachment > Receipt. | via your 'MyPage' > Download Receipt. SBO offer goods under the Incoterm Free Carrier 'FCA' and bulk all orders (all customers) into a major ground shipping account known as 'free shipping'. All orders you undertake include a statement of wholesale supply for which if required present to your applicable taxation agent for tax duties payable, claimable or non-action, fees or refunds. Free Carrier (FCA). Seller arranges pre-carriage from seller's depot to the named place, which can be a terminal or transport hub, forwarder's warehouse etc. Delivery and transfer of risk takes place when the truck or other vehicle arrives at this place, ready for unloading - in other words, the carrier is responsible for unloading the goods. (If there is more than one carrier, then risk transfers on delivery to the first carrier.) In all cases, the seller is responsible for export clearance; the buyer assumes all risks and costs after the goods have been delivered at the named place. As a wholesaler/reseller, you may be required to adhere to further obligations in your state/territory/country. Any information provided by SBO is a guide only and should not be taken as financial or taxation rulings or advice. E&EO. Seek local taxation advice pre-order. EXTRACT from Statement of Wholesale Supply1. Except as otherwise noted the property described will be resold in the form of tangible property and that the manner any property is used for a purpose other than retention demonstration or display whilst being held for resale is tax dutiable by the resale receiver for which are not paid by the wholesale supplier being mentioned above. If the reseller is not required to hold a permit or registered to resale because the reseller is exempt or does not make sales in the state/territory applicable for such this is applied in the regular course of business and reporting the sale and paying dutiable taxes if any that may be required for local statutes and chapters are bound in that state/territory by that purchaser. A Statement of Wholesale Supply is attached with your order. What is the taxation shown on my Invoice/Receipt? 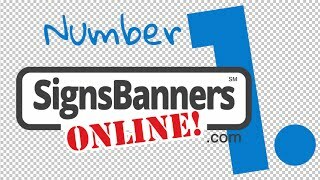 Signs Banners Online is registered in Australia. Australia uses a Goods & Services Tax rate of 10%. As a wholesaler/reseller in UNITED STATES you may be able to claimback this amount. SBO do not offer further taxation information. Seek your local taxation agent. Payments. For more information RE: PAYMENTS go to How to Pay. End of chain consumer rights: As you are a wholesale buyer, we offer a NO Third Party Contact Policy. This means that we shall not resupply product(s) found to be a third party complaint. The business model you are using with Signs Banners Online dot com is wholesale supply to reseller(you). You must be aware that we do not assist with any third party (ie. your customer). SBO is a factory to Wholesaler/Reseller service, NOT a factory to your customer service. PUMPERKNICKEL If you are uncomfortable purchasing wholesale do not continue. We are very proud of our factory to you service however this is a genuine wholesale business model and NO assistance is given for third parties (ie. your customers) to demand warranty claims to SBO. SBO do not assist with disputes, warranty claims, marketing you may promote or any other feature you undertake as a wholesaler/reseller. Do you show the SBO logo? "I'm a reseller"
SBO do NOT show the logo on product... HOWEVER, certain elements must have identification for shipping purposes, genuine product purposes or package identification purposes. WE RECOMMEND you ship to your address and RE-PACKAGE. If you input a 'customer address' the Shipping-Label-with-Logo will represent that address. We strongly suggest you ship out to YOUR ADDRESS and repackage, remove paperwork and resend. No. It's now all online. We suggest you watch a few videos produced, and look at a few image galleries and product pages to really get the look and feel of what Signs Banners Online can do for you. If you're looking for ideas or How To's, we are also introducing a color kitchen, learning center and trade image panels. By the way! All images you can see are 'Let Us Design' requests. WE NEVER DISPLAY your imagery. Never! Other sensitive questions... via "Live Chat"
If you have more reseller questions, please use LIVE CHAT or send a message using the contact factory pages.